When you think about going to college, you might think about a traditional education that is gotten on a traditional college campus. However, nowadays, there are other great options out there, including online schooling. For someone who is already a well-established adult who has a job, a home and perhaps a spouse and/or kids, going back to school online can be an ideal choice. These are a few reasons why. For one thing, when you think about the students who are probably attending the nearest college, you might think about teens and young adults who have recently graduated from high school. You might feel as if you will stand out like a sore thumb against all of these younger faces on a college campus or in a classroom. You might also feel like you don’t really have anything in common with a group of young adults who have never experienced some of the things that you have experienced in your life, such as getting married, having kids, buying a home or having a full-time job. Of course, you shouldn’t let your age and experience get in the way if you are craving a traditional college education. If you would like to attend college on a traditional campus, this is certainly something that you should pursue. If you are like many adult students who are pursuing a bachelors of science degree or any other type of degree later in life, however, you might feel more comfortable in an online setting, when you won’t be surrounded by a lot of students who are much younger than you are. If you are a parent, you might worry about leaving your child while you go to school. You might also not have any child care options, or you could have found that your childcare options are cost prohibitive. One good thing about going to school online is the fact that you might not have to worry about making childcare arrangements or paying for childcare at all. Instead, you can work your education around your childcare schedule. For example, you can do your classwork when your kids are in bed or when your spouse is there to keep them entertained. As an established adult who has real-world responsibilities, quitting your job to go back to school might not be an option. You might not even be able to cut back your hours so that you can go to school without finding yourself in a tough financial situation. You might think that your full-time job will prevent you from ever going back to school, but this does not have to be the case at all. If you pursue an online bachelors degree or any other online schooling program, you will probably find that you can work your classwork in around your work schedule. For example, you can work on your classwork in the mornings before work, in the evenings after you have gotten home or even on your lunch break. This can make it easier for you to continue earning a paycheck while working toward bettering your education and your future. One good thing about online schooling is the fact that you can start out slowly if you want to. It might not seem worth it to visit a campus just for one class. However, if you would like to start out with just one class in an online setting, it shouldn’t be a problem to give it a try. Then, as you gain confidence and find out whether or not online schooling is right for you, you can tweak your schedule and add more classes. This can help you avoid getting overwhelmed or overworked, and it can allow you to pursue your education and your goals without any added stress. Of course, even though online schooling can be a much more flexible option for established adults; you do have to put in plenty of effort. These are some of the things that can help you be as successful as possible when pursuing your online education. Commitment – You have to be committed to getting your schoolwork done and working toward completing your degree. To do well in an online setting, you have to be a self-starter who is willing to put forth the effort that is required in order to complete your coursework and assignments, even if you are tired from a long day of taking care of your kids or working a full-time job. 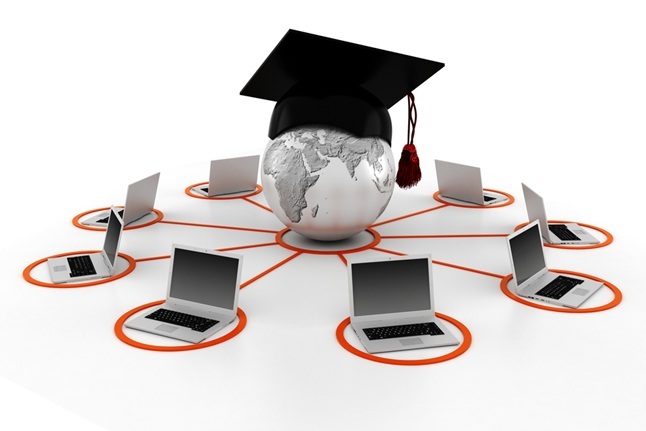 Equipment – Of course, you’re going to need the right equipment in order to work on your online coursework. In most cases, simply having a smartphone is not going to be sufficient. Instead, you’ll need a laptop or desktop computer for best results. Your school might also tell you about other things that you need. A Dedicated Work Area – When you are working on your coursework, you are probably going to need a dedicated work area. This can help you get in the mindset to work on your schoolwork and can also help you ensure that you have some peace and quiet. Of course, you do not have to have a fancy office; even just a small corner desk in your bedroom can work just fine. In the past, those who wanted to go to school typically had to do so on-campus at a local community college or university. However, the good news is that these are not your only options nowadays. Instead, you can pursue schooling at an online university. For many established adults, this can be the best choice. Therefore, if you are looking to continue your education, it can be a good idea to look into your online options, regardless of if you are looking to get an online bachelors degree or nearly any other type of education. Is Postgraduate Education Worth the Cost?